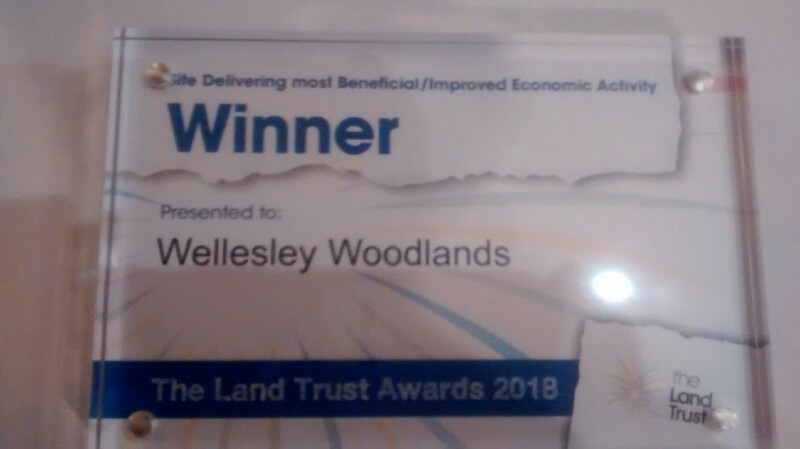 I’m currently up in Northumberland at The Land Trust Managing Partners conference and Wellesley has won the award for the site delivering the most Beneficial/Improved Economic Activity. This is the first time this award has been handed out! Thanks to everyone who has worked on Wellesley this year to achieve this. This entry was posted in Events and tagged awards, Wellesley Woodlands. Bookmark the permalink. Excellent, well done. I bet you are well pleased. Thank you. It’s great that everyone’s hard work is recognised.